The core product in the Trilogy range teamed with a limited edition mini size of the amazing Everything Balm. A perfect pairing for a gift or a treat for you. 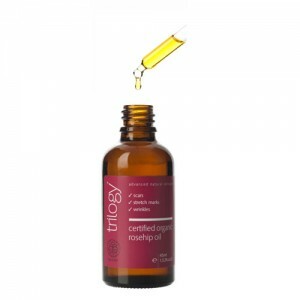 1) Certified Organic Rosehip Oil: (20ml - RRP £16.50)This super-fine oil absorbs instantly, allowing the skin to breathe while it goes to work to prevent the signs of premature ageing and assisting skin growth and repair. Proven to work: 44% improvement in skin moisture content, 23% visible reduction in fine lines and wrinkles, and 21% smoother skin. 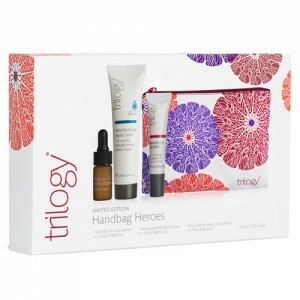 2) Trilogy Everything Balm: (18ml - worth £5) A wonderful all in 1 product. You'll wonder how you managed without it. Use me everywhere.........nourishing and protecting for face and body........soothing dry, chapped skin..........softening, smoothing and moisturising.........lip conditioning........cuticle care.........melting massage oil..........ideal for the whole family.........perfect for travel...........the possibilities are endless!!! A great value gift set and perfect introduction to the range, just these two products and you potentially have your skincare sorted. Limited edition so grab them while you can. 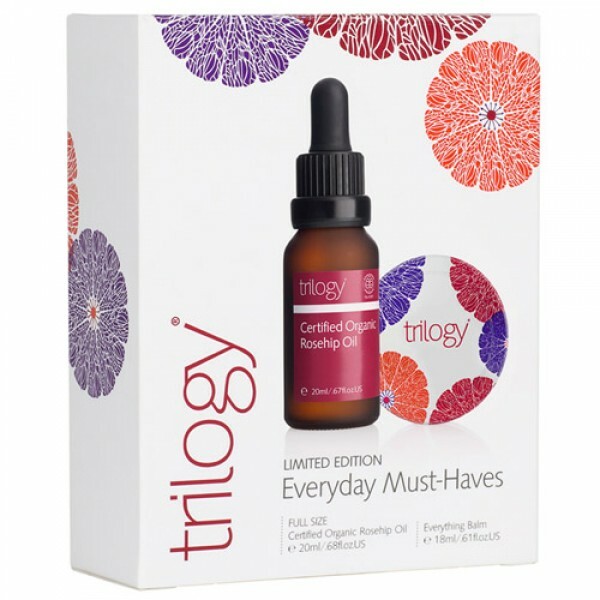 Trilogy products believe Rosehip Oil to be the best ingredient for rejuvenating and regenerating the skin. 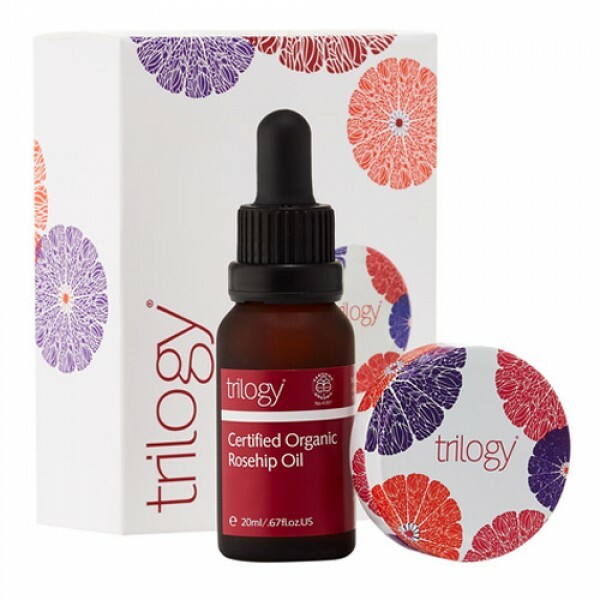 Used through the ages, it is rich in skin loving nutrients, and Trilogy Rosehip Oil, through their unique extraction technique, is said to be the purest.